of the students need a book that is lucidly presented, orderly arranged and profusely illustrated. The present book has been written in simple language in such a way that a student with very little chemistry background can easily follow the various aspects of biochemistry presented in the book. The book matches what best is available in the standard textbooks in the subject including those by Stryer, Devlin, Griffith, and Lehniger in their books on the subject. At the end of the book glossary of common terms used in biochemistry have been provided. Student activity in the form of review problems has been provided with each chapter. For thousands of years, farmers have been using breeding techniques to ‘genetically modify’ crops to improve quality and yield. Modern biotechnology allows plants breeders to select genes that produce beneficial traits and move them from one organism to another. Plant biotechnology is far more precise and selective than crossbreeding desired agronomic traits. Plant biotechnology has enable improved techniques and crop production around the world by increasing plants’ resistance to diseases and pests; reducing pesticide applications; and maintaining and improving crop yields. This reference/textbook of Plant Biotechnology is essential reading for all students and teachers of life sciences, biotechnology, microbiology as well as researches in these fields. Powder metallurgy (PM) is a sustainable green manufacturing technology and the products are finding increasing applications in automotive, machine tool, electrical and other engineering industries. This book contains selected 25 articles in the following sections: Section 1: PM in Automotive and Related Industries Section 2: PM Aluminium Alloys and Composites Section 3: Hard and Super Hard Materials The book will be an asset to the technical library--Materials, Metallurgy, Mechanical, Production, Manu-facturing Engineering and a valuable source for undergraduate, postgraduate and research students, scientists, engineers, and technocrats dealing with powder metallurgy and particulate materials. Food Microbiology, An Introduction encompasses the study of microorganisms which have both beneficial deleterious effects on the quality and safety of raw and processed meat, poultry, and egg products. Modern Food Microbiology views foods as habitats where different organisms compete for urvival. This book summarises the various aspects of Food Microbiology and contains 14 chapters. Besides students, this book will prove useful to industrialists and consultants in food processing technology. This Medical Dictionary, edited by Eric Brown, is the outcome of painstaking efforts of a team of qualified and experienced doctors engaged in the different pursuits of medical sciences. It contains in 1112 pages about 10,000 entires explained in reasonable details so as to make the subject or the term quite clear to the user. Wherever required, the entries have been further elucidated with coloured illustrations. The Appendix provides vital information about the Basic First Aid, Vitamins, Measurements in Medicine, Body Weights and Heights, Dietary Health Claims, Terminology for Food Lables, Prefixes, Suffixes, and Combining Forms, Medical Abbreviations, Conversion Rules and Factors, etc. It should add value to this Dictionary. Biotechnology is a field of applied biology that involves the use of living organisms & bioprocessing in engineering, technology, medicine & other fields requiring bioproducts. This book is written to provide an overview of many of the fundamental aspects that underpin all biotechnology and to provide examples of how these principles are put Into operation: from the starting substrate or feedstock through to the final product. An essential reading for all undergraduate & postgraduate students of all relevant disciplines and teachers of life sciences, biotechnology, bioinformatics, industrialists, policy-makers as well as researchers in these & allied fields. Parasitology: Protozoology and Helminthology, 13/e by KD Chatterjee is a well illustrated book providing a concise exposition of the subject with coloured diagrams and made comprehensible to students. It is divided into four sections. The first section describes the terminology and general principles of parasitological studies. The second section deals with helminthology. The third section provides diagnostic procedures, concerned with the examination of stool for parasites, blood for parasites, cultural examination, and examination of biopsy material. Treatment of parasitic infections is the subject matter of Appendix which lists drugs and their dosage and methods of administration. The book deals with basic concepts, bioinformatics technology and review, study of the basic cellular structure and biological deciding of genome, transcription and translation, molecular genetics and their database, basic concepts of genomics, molecular genetics, genome mapping and gene identification, computers and their applications in bioinformatics installation of bioinformatics software, management of a server, based bioinformatics resources, provides an indepth discussion of statistical techniques, data visualization techniques, pattern matching, applications of bioinformatics, etc. This is a useful textbook for students and teachers of life sciences, biotechnology, bioinformatics engineering and researchers in these allied fields. The book deals with the principles of Industrial enzyme production and utilization, types/classification of enzymes, application of enzymes in industry, instrumental techniques used in enzymes analysis, legal and economic considerations for the use of technical enzymes, and patenting biotechnology inventions. It is an ideal textbook for all undergraduate and postgraduate students and teachers of biotechnology, environment, and life sciences. be valuable reference for engineers and professionals engaged in the design and functioning of these industries. The five volumes of Essential Oils Handbook form a complete treatise on essential oils. Written by authors having rich experience in teaching, consultancy and field practices in cement concrete constructions, the book presents the text in a sequence of concepts, principles, applications and design. Each chapter begins with expected learning outcome as learning objectives to facilitate clarity and easy comprehension by the reader for effective application of the technology in the field. The discussion focuses on the cement concrete mix design essential for quality in construction. It provides knowledge and skills essentially required for managing quality control in modern construction industry. This edition discusses importance, properties and uses of water, along with quality, sources and classification. Conveyance of water, quality, and waste-water treatment are the topics focussed upon. Besides filtration, both physical and chemical operations have been discussed thoroughly. Water transmission and distribution systems have been discussed. Biological waste treatment, residual management, treatment of sewage, along with systems for resource and energy and connected microbiology have been described. Separate chapters have been included to cover hydraulics and use of computers in waste-water technology. This book is written to meet above requirements and is based on latest recommendations of International Civil Aviation Organisation (ICAO), Canada, and Federal Aviation Agency (FAA), U.S.A. It is organised in 18 chapters starting with historical developments and terminology to planning, design and maintenance of airport facilities including terminal, runway, taxiway, aprons and visual-aids. Chapters on Heliport, Vertiport, Stolport Drainage and Environmental considerations are also included. This book is structured in such a way that examples and exercises form an integral part of the main text. Typical questions for practice and preparation for various competitive examinations are included in the end. 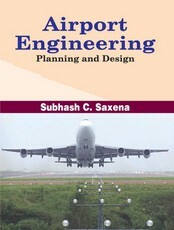 Latest material used for writeup of various chapters of the book will also provide basis for postgraduate teaching and research work in airport engineering. An effort has been made in this Textbook of Anatomy and Physiology to provide the essential matter in a thorough yet concise manner. 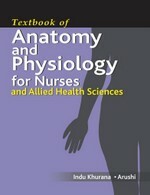 The book has been written primarily for the students of nursing and other allied health science to help them understand the fundamental basics of the subject. Material provided is aimed at providing an insight into how the body is structured and how it functions and how the alterations in normal structure and functioning results in disease. Biochemical engineering is a branch of chemical engineering or biological engineering that mainly deals with the design of unit processes that involve biological organisms or molecules. Its applications are used in the food, feed, pharmaceutical, chemical, biotechnology, and water treatment industries. This book is a complete treatise on biochemical engineering and also includes computer applications in fermentation technology, principles of effluent treatment, recovery and purification of fermentation products and fermentation economics. It aims to serve as a text for the undergraduate and postgraduate students in relevant disciplines and a reference for all the professionals in the related fields. Conventional/Nonconventional Energy Sources, Energy Conservation in Chemical, Sugar and Textile Industries. Vol. 2 covers Energy Conservation in Metallurgical, Cement, Ceramic, Glass, Electrical and Mechanical Industries, Energy Recovery from Waste Heat, Energy Management and Audit. Heat Treatment is used not only for increasing the strength of materials but also to improve machining, formability and ductility to enhance the characteristics for manufacturability. This process can be used to improve product performance by increasing the strength or altering the desirable characteristics. For example, steels are heat treated for harderning, softening or material modification. The success story of plastics would not have been possible but for the proven advantages that it possesses over its nearest substitutes like metal, glass or papers. Today the packaging industry is by far the major user of plastics. This reference text book is intended for plastic technologists, chemical, mechanical & polymer technologists and also research students involved in processing, designing, testing and recycling of plastics.